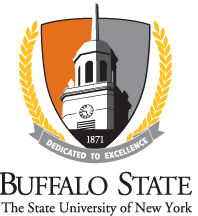 In compliance with the April 2004 directive from the Chancellor of the State University of New York, Buffalo State College requires all student to receive and positively affirm the campus’s Student Code of Conduct. Access to Degree Navigator will be denied for students who have not completed the affirmation of the Code of Conduct. Students will be automatically redirected to the Code of Conduct affirmation pages each time they attempt to log into Degree Navigator until they complete the affirmation. Students can affirm they have received and will abide by the Code by clicking here to view the Code and follow the few simple steps needed to complete their affirmation. Questions regarding the affirmation of the Code can be addressed to the Student Conduct and Community Standards Office, Campbell Student Union 311, (716) 878-3051.